This is a private only, semi-customized tour. This will be a whole new experience for you to discover nightlife in Tokyo. We start this tour from a nice bar on 46th floor with great views of Tokyo bay. We start by raising a glass and saying, "Kampai!" ("Cheers!") with great cocktails, whiskey, or champagne - the choice is yours. We then go down to the ground floor to a drinking place in an underpass with great bar food. We then move on to a very welcoming small restaurant with a funny "mama" (colloquial term for a female owner) and regular customers who come to enjoy chatting with the owner and eating the amazing food she makes. The last place is up to you based on what you want to drink: Japanese craft beer, sake, or whiskey. 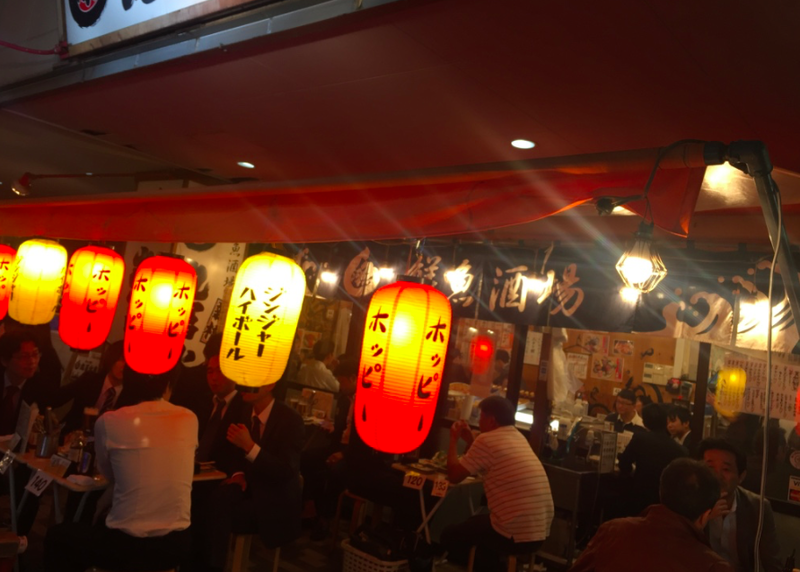 This tour takes place in Shimbashi, a well-known business district in Tokyo, so you can see how locals enjoy drinking and food after work.